For the Canadian actress, see Amanda Brugel. Amanda Baker (born December 22, 1979) is an American actress. She is best known for portraying Jolene Crowell on General Hospital: Night Shift in 2007 and Babe Carey Chandler on All My Children from 2007 to 2008. Baker reappeared on June 4 and 29, 2009 as a ghost on All My Children as Babe Chandler. General Hospital: Night Shift is an American prime time serial that first aired on Soapnet for a 13-episode run from July 12, 2007 to October 4, 2007. A spin-off of the ABC Daytime soap opera General Hospital, the show is SOAPnet's first original scripted drama series and follows the nighttime adventures of familiar and new characters around the hospital. As of March 2008, the first season of the series was "SOAPnet's most watched series ever," with ABC Daytime and SOAPnet President Brian Frons noting that Night Shift drew more than 1 million new viewers to the channel during its first season. With its reruns gaining higher ratings than those of General Hospital on SOAPnet, a second season was expected, though Frons noted that the same crew producing two shows had taken its toll. Arabella "Babe" Carey is a fictional character from the American daytime drama All My Children. She was originally portrayed by actress Alexa Havins, from October 13, 2003, to October 8, 2007, and then by actress Amanda Baker from October 8, 2007, to October 31, 2008. The character was killed off on the October 23, 2008 episode of the show, after suffering injuries during a series of tornadoes. In September 2011, Babe (Havins) briefly returned to Pine Valley as an apparition appearing to JR.
Born as Laura Amanda Baker in Mount Pleasant, South Carolina and originally from Charleston, South Carolina, Baker received her degree in business marketing (with a minor in fashion merchandising) at the University of South Carolina before breaking into a television career. She is the daughter of D. F. Keels Baker and Laura Baker. 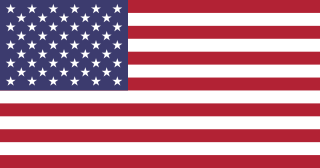 Mount Pleasant is a large suburban town in Charleston County, South Carolina, United States. It is the fourth largest municipality and largest town in South Carolina, and for several years was one of the state's fastest-growing areas, doubling in population between 1990 and 2000. The population was 67,843 at the 2010 census,. The estimated population in 2014 was 77,796. At the foot of the Arthur Ravenel Bridge is Patriots Point, a naval and maritime museum, home to the World War II aircraft carrier USS Yorktown, which is now a museum ship. The Ravenel Bridge, an eight-lane highway that was completed in 2005, spans the Cooper River and links Mount Pleasant with the city of Charleston. There is substantial confusion about the role of merchandisers, and much of this can be attributed to the loose manner in which the term is used by various industries. Merchandising in football refers to the range of goods sold to supporters by football clubs. Store managers at Zara will commonly refer to department layout reorganization as “re-merchandising.” In fashion retailing, the visual merchandising team has the responsibility of managing the aesthetics of store and window displays. It is a completely separate function from merchandising, and the two must not be confused. Baker starred as Jolene Crowell on General Hospital: Night Shift. She joined the cast of All My Children as the new Babe Carey Chandler on October 8, 2007. In an odd move, she debuted on the same day that actress Alexa Havins exited the role. When Babe hugged Krystal (the character's mother), it was Havins, but when the hug ceased, Amanda Baker was present. She departed from the role in October 2008. Baker reappeared on June 4 and 29, 2009 on All My Children as Babe's ghost. 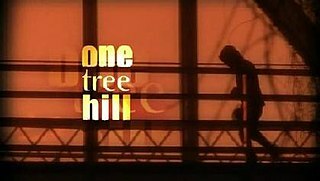 One Tree Hill is an American television drama series created by Mark Schwahn, which premiered on September 23, 2003, on The WB. After the series' third season, The WB merged with UPN to form The CW, and from September 27, 2006, the series was broadcast by The CW in the United States until the end of its run in 2012. The show is set in the fictional town of Tree Hill in North Carolina and initially follows the lives of two half-brothers, Lucas Scott and Nathan Scott, who compete for positions on their school's basketball team, and the drama that ensues from the brothers' romances. Palmetto Pointe is a television series that debuted during PAX-TV's transition to i: Independent Television. The series first aired on August 28, 2005, with its last episode airing on October 16, 2005. It was the first television series shot on location in Charleston, South Carolina, where the series was set. Hello Sister, Goodbye Life is a 2006 ABC Family original comedy-drama television film based on novelist Claire Scovell LaZebnik's book, Same as It Never Was. Starring Lacey Chabert as Olivia, Wendie Malick as Barbara, Adam Kaufman as Joe, Sammi Hanratty as Celia, David Ramsey as Dennis, Keith Flippen as Mr. Calhoon, Mitch Laurance as Richard, Erin Fisk as Alicia, Amanda Baker as Betsy, Yvette Sirker as Rosivel, and Hunter Whitlow as Yale. Finola Hughes is an English actress, television host, entrepreneur, author, and dancer, best known for role as Anna Devane on the ABC soap operas General Hospital and All My Children, and her portrayal of Laura in the 1983 film Staying Alive, the sequel to Saturday Night Fever. Brooke Allison English is a fictional character on the television soap opera All My Children. Originated by Elissa Leeds in 1976, she was portrayed by Julia Barr from 1976 to 1981 and from 1982 to 2006. Harriet Hall temporarily played the role in 1981. Barr made a special appearance as Brooke on January 5, 2010, as part of the series' 40th anniversary, and returned on February 23, 2010, for a three-month stint until April 23, 2010. She later returned for the show's final week on ABC on September 16, 2011. She returned as Brooke on the Prospect Park's continuation of All My Children. Megan McTavish is a retired American television actress and soap opera writer. McTavish is best known for several head writing stints on All My Children. Bianca Montgomery is a fictional character from the American daytime drama All My Children. Until Eden Riegel assumed the role, portraying the character from July 2000 to January 2010, the character was portrayed solely by child actresses: Lacey Chabert, Nathalie Paulding, Gina Gallagher, Caroline Wilde and Jessica Leigh Falborn. When Riegel decided to permanently exit the role, plans to recast were confirmed; in June 2010, Christina Bennett Lind replaced Riegel, and remained on the series through the original television finale episode, which aired September 23, 2011. In February 2013, it was announced that Riegel would be reprising her role as Bianca in a guest-arc on Prospect Park's continuation of All My Children. Joshua "Josh" Madden is a fictional character from the American daytime drama, All My Children. He first came to Pine Valley on June 17, 2005 and was originally portrayed by actor Scott Kinworthy until September 15, 2005. Following Kinworthy's departure, he was portrayed by actor Colin Egglesfield from September 2005 until January 2009. Amanda Dillon is a fictional character from the American daytime All My Children. She is the daughter of police officer/detective Trevor Dillon and longtime series villain Janet Marlowe aka "Janet from Another Planet"; however, Amanda was thought to be the child of her aunt Natalie Marlowe, who later adopted her. Alexis Manta portrayed the character as a child from 1996–2000, and Chrishell Stause has portrayed the character as an adult from 2005 till the end of the series in 2011. Simone Torres is a fictional character from the long-running American soap opera All My Children. The character was originated by actress Terri Ivens, from October 2001 to December 2006, and guest starred on June 8, 2007, June 20, 2007, and November 1, 2007 as a ghost. Colby Chandler is a fictional character from the original ABC Daytime soap opera, All My Children. Born on-screen in 1999, the character was rapidly aged in 2006. The role has been recast several times, but most recently the role was portrayed by Natalie Hall from 2009 until the show's cancellation in 2011. When the show was relaunched as a web series to air on The Online Network owned and operated by production company, Prospect Park, Brooke Newton stepped into the role of Colby. JR Chandler and Babe Carey are fictional characters of the JR and Babe or Jabe couple from the American daytime drama All My Children. JR Chandler was portrayed by Jacob Young. Babe Carey was portrayed by actress Alexa Havins, and then by Amanda Baker. Written as volatile and yet loving, the up-and-down romance tells of a young star-crossed couple who met one captivating night at the end of a fog-covered dock and from there are faced with much interference, significantly but unintentionally caused by each other, in their struggle for true happiness. 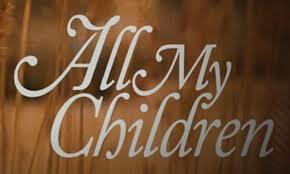 Children of All My Children refers to fictional children from the daytime drama All My Children. The Cortlandt/Cooney family is a fictional family on the original ABC daytime soap opera, All My Children. Adam "AJ" Chandler III is a fictional character from the American serial drama, All My Children. From April 29 to September 2, 2013, the role has been portrayed by Eric Nelsen. Zoe Luper is a fictional character portrayed by actor Jeffrey Carlson on the ABC daytime drama All My Children. Zoe is perhaps the first transgender television character depicted at the beginning of male-to-female transition and coming out. The character debuted in August 2006 as Zarf, an English rock star who presents as male. Zarf/Zoe returned during the period of November 29, 2006 to April 26, 2007.